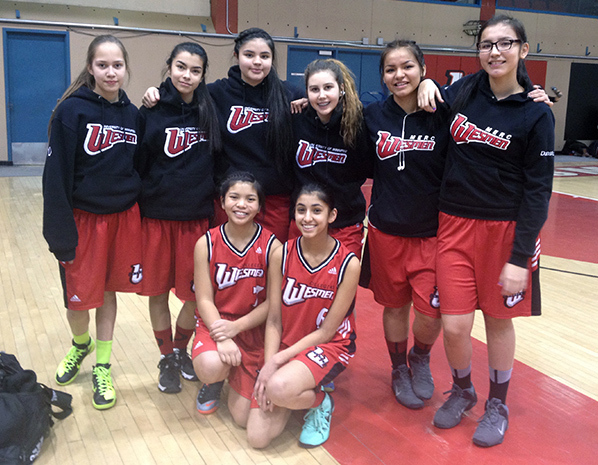 Congratulations to the UWinnipeg Collegiate Junior Varsity Girls basketball team, who were victorious at the provincial ”AAA” JV Girls Basketball Championships held in Lorette, MB from March 12-14, 2015. Six of the eight girls on the Collegiate team are from the Collegiate’s Model School and all of these girls played with the Anishinabe Pride Basketball Club prior to playing with the Wesmen. Best wishes to the varsity boys and the varsity girls basketball teams, when they play in the provincial finals this weekend in Morden, Manitoba!